Dan and I flew to Seattle and took a rental car to Mt. Rainier (in Ashford, WA) to celebrate my birthday and our engagement. People close to me know I'm a sucker for National Parks! This is one of the best weekend trips I have ever done! The roads to the park are scenic with looming giant evergreens and the ever present views of snow capped mountains. I was chimping (ooohs and aaahs!) all the way to Ashford! We stayed in a charming resort spa in the woods close to the park. Our woodland cabin had its own Japanese inspired garden and a wooden hot tub! We didn't have wifi or TV and had only our supply of Pacific NW wines and beers to get us through most nights. Ha! We were lucky to get a taste of the Pacific Northwest for just a weekend. We had clear, sunny skies with the perfect views of Mt Rainier, Mt. 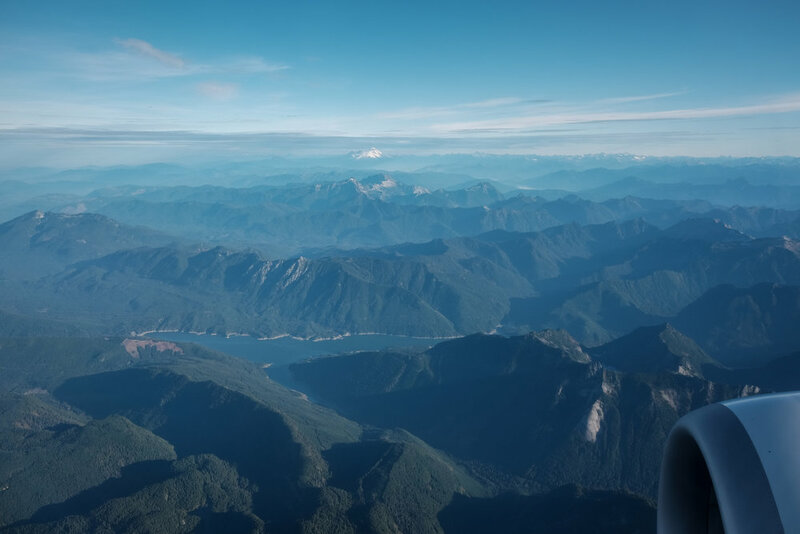 St. Helens and other mountain ranges. Then, we had cold and steady rains when we ventured into the rainforests and waterfalls. Gore-tex really does make a big difference! Hiking in the alpine meadows and under the canopy of giants in the rainforests with the varying shades of greens and textures on the forest floor is just so amazing and magical! No wonder this place has inspired so many great artists and conservationists. So happy and grateful to start my 34th and welcome a new journey in my life as Dan and I prepare for our wedding in the Philippines next year! Next week, we will be in Patagonia!